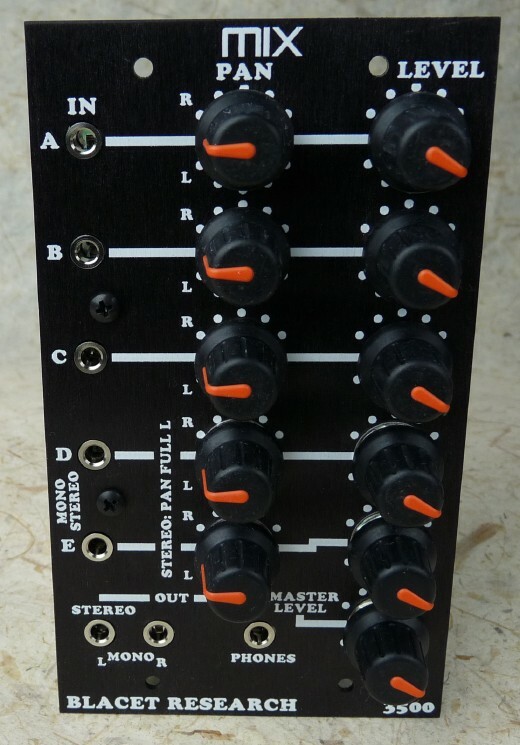 Five Input Mono/Stereo Mixer with Pan and Master Level. 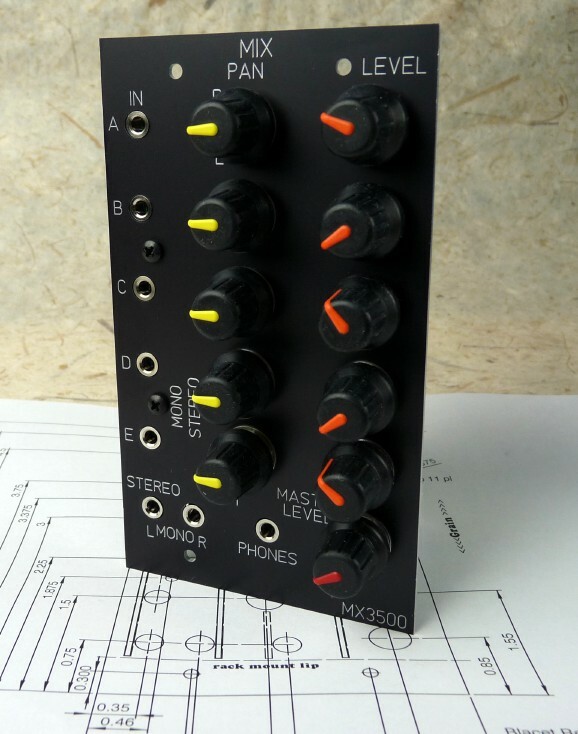 Two optional stereo channels for inputting keyboard, CD player, computer, drum machine, etc. Stereo or mono outs. Stereo earphone out. Frac and/or Euro power connector! Didn't notice the Euro power connector before. Kind of nice, but expensive for production runs. Assembly photos moved to Tech page. Anyone know the depth on this?